At the intersection of "Americanah" and "The Help" comes a riveting debut novel about two marriages - one immigrant and working class, the other from the top 1% - both chasing their version of the American Dream. 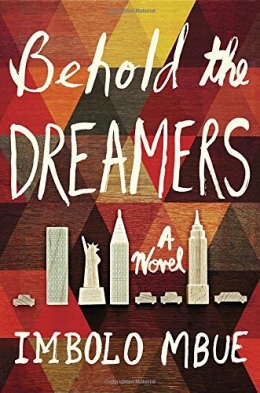 In the fall of 2007, Jende Jonga, a Cameroonian immigrant living in Harlem, lands a job as a chauffeur for Clark Edwards, a senior executive at Lehman Brothers. Their situation only improves when Jende's wife Neni is hired as household help. But in the course of their work, Jende and Neni begin to witness infidelities, skirmishes, and family secrets. Then, with the 2008 collapse of Lehman Brothers, a tragedy changes all four lives forever, and the Jongas must decide whether to continue fighting to stay in a recession-ravaged America or give up and return home to Cameroon. Oprah 2.0 book club July 2017 selection.